Lindora is a weight loss program that was initiated in the 1970s by Dr Marshal Stamper. More recently they have introduced an online version (Lean for Life online), and also a phone-based version of the program. Currently most bricks-and-mortar clinics are based in Southern California, US. The Lean for Life program is essentially a high-protein, very low carb diet based on the process of ketosis. This program is medically-supervised and includes a number of other factors such as addressing psychological issues and eating ‘triggers’. The program is separated into different phases – this is so that your body can stay in the ketosis state. The program ends with a 2 week ‘metabolic adjustment’ phase – to get the body back out of ketosis, and back to relatively ‘normal’ eating. The 45 day program claims that you can use ‘food you can find in any grocery store’ – yet they do have a substantial online shop section that has many items of food for sale. The meal plans include 3 meals per day plus 3 protein-based snacks. Is Lindora suitable for everyone? Most weight loss programs like this are suitable only for a certain small niche of people. Maintaining a successful healthy lifestyle is more than a 10 week program, and while helping many to lose the initial weight – it does not teach you lifelong habits about nutrition, fitness, and exercise. It is far better to understand the nutrition that will work for your body – without starving any of your muscle mass. Lindora is low on calories – perhaps too low for some. It is expensive. The clinic-based programs generally have an upfront fee of $1000. Food and vitamin injections will be extra on top of this. The 10 week online program is $249. This includes just 10 phone conversations with someone at the clinic. These weight loss solutions are not cheap. However some people find that making a large financial commitment helps them to “stay with the program” and keep motivated. I followed the program by reading the book. I also did the on line program, sometimes they have specials. It works,but is not easy. I’m finishing up my second 10 week program with Lindora and I have lost 107 pounds! The support and information has been a huge benefit for me. I highly recommend this program especially for men. Theres no group discussions and such. You go in privately with your counselor and they tell you what you need to do. The cost IS NEGOTIABLE, they have discounts and different programs to suit your budget and weekly payment plans. Just go talk to them ITS WORTH IT! I’m now training for a marathon next April and feel better than I have in over 10 years! THANKS LINDORA! Hey don where do you go to sign up online. Hi i am a thyroid sufferer and recently have dramatically put on weight, feel very depressed about it. Please tell me more about the diet, and how much in South African Rands. is it a product or a specific eating programme? I LOVE this diet…although to me it is no longer a diet, a way of life. Although the first few weeks I didn’t get creative I soon realized I didn’t have to stick to the ‘basics’. Instead of just one veggie I had three just portion sized each to equal one. Same with fruit. What a concept. I liked the encouragement, the daily check-in is a good accountability. I have already lost 25lbs (176 down to 151) and have another 15 to go. Although it is costly, it works. You don’t need to use their food, but it is a quick meal and really doesn’t taste too bad. I wnet to Lindora back in 1992 I lost 30lbs. in 30 days. so I know it works. I am going back again now. I had to have my thyroid removed. and I have gained 70 lbs. so it is back to Lindora. I meant to give it 5 stars but my comp was acting dumb. N e way. This really worked for me and someone said that lindora is only out there to take peoples money because one of their friends went and they were rude well that wasn’t the case with me they were super nice and helpful. I told them I was a full time student and only worked 2 days a week and they arranged something very reasonable with me. I was satisfied and am going back I went from 230 to 190 in one ten week program but couldve lost more I just wasn’t following it the way I should have I want to lose 40 more pounds and I know I will do it with their help. 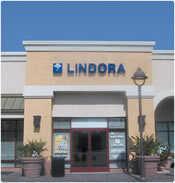 Lindora is a serious weight-loss program. You don’t have fun. You don’t get to eat a wide variety of scrumptious silly frozen food. You don’t get pampered. You DO get encouraged, you DO feel better within a week (more energy, more sound sleep, more alert), and you DO lose the weight if you do exactly what they say. That said, it is frighteningly expensive to go in, which is of course the best way. I did online – & read the book, ready the book, read the book!! lol It came out as 4 after all. I am such a goof. This program really worked for me a few years back. I am going back again.The first time I was able to discontinue my diabetes medicine because my sugars went too low. Now a few years later my diabetes has worsened and I need to do something beyond medicine. I think Lindora will be just what I need to be successful. The only drawback is the cost. That is why I rated it a 4 and not a 5. And yes…I am worth it! ;)Hmmm I voted for 4 stars but now it appears as 3. I don’t know what happened. I have been on the program for 10 weeks and I am starting another plan with them. I definately think it works I need to lose about 80lbs. and I have already lost 33lbs. You need to follow what they say to do and EXERCISE, they ask you everyday what type of exercise you are doing. They keep a close eye on everything that you are doing and all of the women there have been great and they all very informative. I think if you have a lot of weight to lose this program could help. Yes it is expensive but aren’t you worth it! I am doing the program now and it works. I am down 27 pounds in 6 weeks. I am feeling better and still loosing. If you want to loose weight this is the best way to do it. I have done many diets and have never been able to loose this much this fast. The cost is worth every penny. Working out on a regular basis and following the program is a must! The first 3 protein days are the hardest, but they do get easier to handle. Had some weight lost (which is always gd). Program is very pricy. Did the program at one of there locations not on-line so had to always have time available to show up daily. This company is only out for money. I sent a friend into a clinic recently. She is 5 foot 6 inches and weighs 120 pounds. The attitude she received was basically if you have the money we will take regardless of your need for weight loss.